I have a ton of Asparagus and it will need three recipes to finish it off, but a poached egg sounded good since I love warm egg yolks running down and over whatever is suitable, pasta, potatoes and now asparagus. Simply cook the asparagus until just tender and cool down in ice water, pat dry and plate, season with salt, pepper and a little lemon zest. 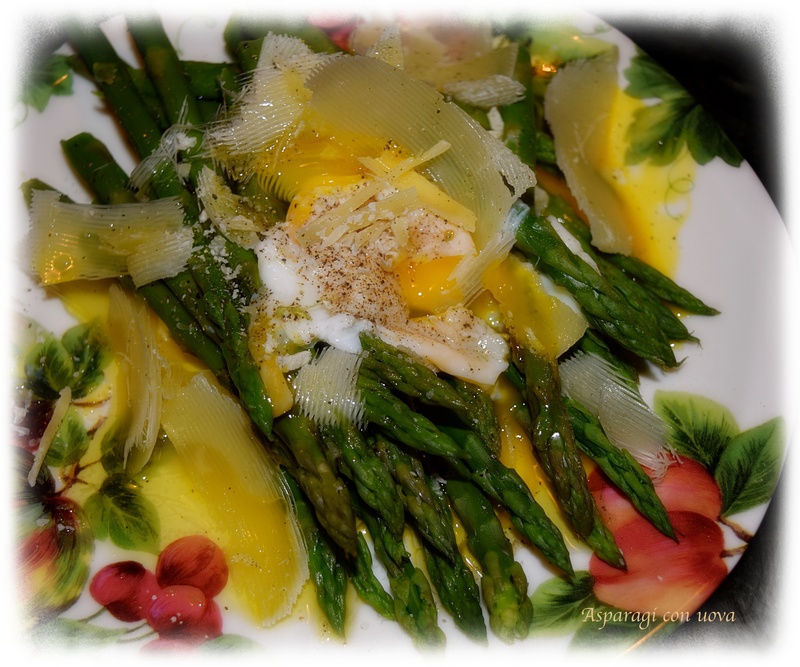 Poach 2 eggs lay over asparagus and shave some parmesan cheese over…a little drizzle of Greek olive oil and serve.